Do you feel something missing in every turbo train driving game? Try this tremendous version of railcar. Tram is ready doors are open, passengers boarding and shifting their luggage. Being a dutiful locomotive driver horn 3 times to alert the passengers. Door closes hosts says goodbye, wish you a good journey and train leaves the station. 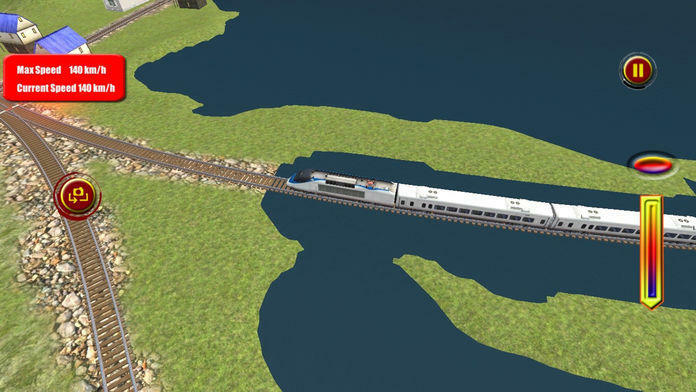 Best simulator train speeds up in few seconds, railroad sound makes the miles enjoyable. 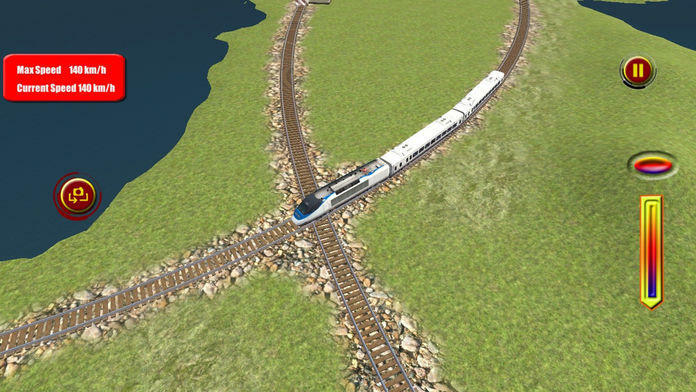 3D railway track is routed in between the green fields, crosses rivers & runs on long bridges. Slows down the tram hilly areas are on ahead. Have a look on speed limit indicators dangerous turns, cutting-edges could cause train accident. Look at mountain peaks there is snow falling. How the journey is glamorous. While train passes through the barriers you see the village life. How people are waiting for barriers opening to cross railway line on cycle, Rickshaws and tractor. 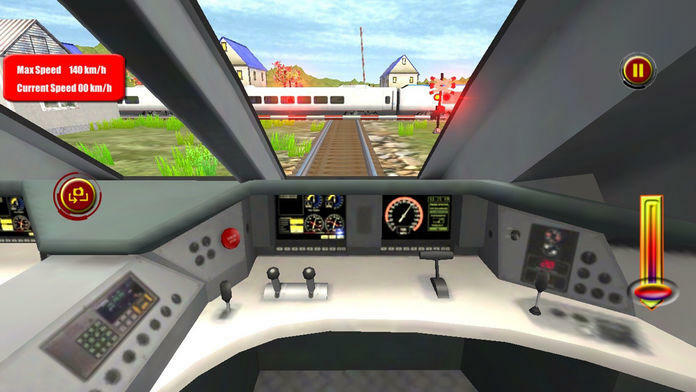 Install the best simulator locomotive driving game and chase the task of challenging drives. If you are train games lover then this is right choice for you to enjoy the best train games in the world. 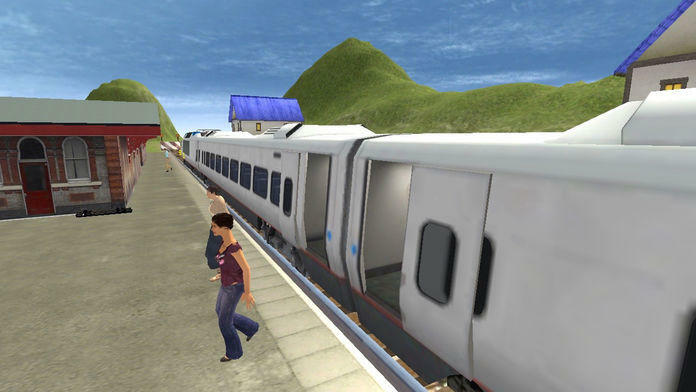 Experience train racing game in the most beautiful tracks. Keep in safe speed limits when passing through curvy turns. If the signal is off then wait for other train to pass. Right train parking at the railway station is very important. Being a skillful train driver, park train right in front of the passengers so that they can ride train in time. Simulate your railway station train parking skills. - For security clearance zoom out cameras and check out that all is ok.
- Blow horn and accelerate giant engine and apply brakes as required. - Follow the speed limits for a safe journey. - Must stop at the cross is signal is ON. Wait for the cargo train to pass on accelerate when signal is off. - Change the track carefully. Select right route and get guidance from map on dashboard of train. - Hurry up drive with all senses this is time approaching. Real time modern train cockpit view with digital screen indicating train speed etc. Great controls with disc brakes. Glacier, mountain and beautiful landscapes. Unlock the next one level on safe completion of turbo train. Game equally good for girls, boys, kids and elders. Play and comment on the best locomotive driving game of 2016.